Can Adam Scott keep his hot streak alive? 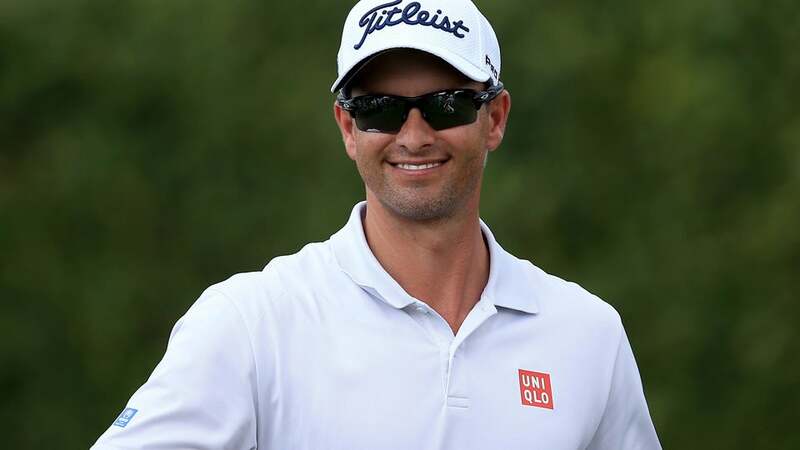 ORLANDO, Florida (AP) The numbers for Adam Scott in his last three tournaments are staggering. He was runner-up at Riviera, won the Honda Classic and then won the Cadillac Championship at Doral. In those 12 rounds, Scott is a combined 35-under par. He has earned just over $3.3 million - only 21 players earned more than that all of last year on the PGA Tour. The most important number during his week off at home is four, which is how many days he went without touching a club. Scott was in The Bahamas last week, gearing up for the first big stretch of the year. He is among the favorites at the Arnold Palmer Invitational when it begins Thursday. He goes to Texas next week for the Dell Match Play, and then will make his way over to Augusta National and start preparing for the Masters. What does one do at home coming off back-to-back victories? Don't practice because nothing needs fixed? Or practice to try to keep it sharp? He played in a charity event for Ernie Els the Monday after Doral, and then didn't hit a golf ball until Saturday. How that translates at Bay Hill will start to take shape Thursday. THE COURSE: The greens at Bay Hill were in rough shape last year, but they've been resurfaced and it was decided not to overseed with winter rye grass. Players have been raving about the condition of Bay Hill all week. Whether that translates into lower scoring depends on other factors. But it doesn't sound like the person handling complaints will be bored this week. That's usually Palmer, and no one says anything to the King - publicly, anyway. THE FAVORITE: Bay Hill has five of the top 10 players in the world this year, but only one of them can be considered in top form. That would be Scott. He has had only one round over par in the 16 he has played this year, and he has gone from outside the top 20 to No. 6 in the world, right back in the conversation. McIlroy isn't far off. He had a three-shot lead at Doral going into the final round until he tried to play it safe because of wind and water, made only one birdie and had to settle for a tie for third. Justin Rose hasn't seriously contended. Henrik Stenson had a pair of top 10s in the Middle East and looks like he's getting closer. And then there's Jason Day. The PGA champion took the last three months of last year off and has played only four times this year. He missed the cut at Torrey Pines while ill. In his other three events, he has finished a combined 35 shots out of the lead. THE KING: Don't expect to see much of the 86-year-old tournament host this week. Palmer was in a cart watching players hit balls on the practice range on Monday, and he returned Tuesday to watch his grandson, Sam Saunders. But he chose not to have a news conference this year, and his appearance on television this week is to be taped. And there was this from McIlroy. ''It's great to come here and pay homage to one of the greats of the game and someone who built this game into what it is today,'' he said. ''Really, you look at us with all our logos on and endorsement contracts and all that sort of stuff, and making so much money from this game, and Arnold was really the first one to do that.